Manual Handling is essential for people’s everyday lives and so it is no surprise that more than one third of all workplace injuries are the result of such activities. The Manual Handling regulations are in force to protect everyone’s health and well being and to make the work environment a safer place. The entire course is based around the Manual Handling Operations Regulations 1992, helping you to abide with law. This health and safety training course focuses on how to prevent an injury. It is designed to give you and your workforce the right skills and practical techniques to lift inanimate objects. Should a person’s spine and back be damaged, it can have almost irreversible effects which may affect the injured person for the rest of their life. For this reason, we highly recommend this course, not only to abide by legislation, but to also look after the long term health and well-being of your entire workforce. The Manual Handling course comes in a main and refresher format. 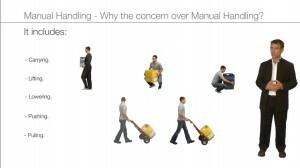 Why the concern over Manual Handling.